Victoria Dietz’s experience covers an array of activities in development, from annual fund work for small and mid-sized nonprofits to major gift and corporate development in large nonprofit settings. In her role as vice president for The Curtis Group, she is responsible for a variety of clients’ planning studies, trainings and campaign management. Victoria specializes in helping her clients strategically grow overall fundraising capacity and has managed campaigns ranging in size from $2 million to $40 million. Prior to joining The Curtis Group, Victoria oversaw corporate and foundation relations for Bon Secours Hampton Roads. There she supervised all grant writing activity while also managing a major gift portfolio of individuals, as well as local and national corporations for three hospital foundations. Victoria has completed specialized fundraising training through The Advisory Board, the Association for Healthcare Philanthropy, the Hampton Roads Gift Planning Council, AFP International and Virginia Fund Raising Institute. A sought-after speaker and presenter herself, Victoria has served on the faculty of Tidewater Community College’s Academy for Nonprofit Excellence, Charlottesville’s Center for Nonprofit Excellence, the Virginia Fund Raising Institute, and the Hampton Roads Community Foundation, she has also conducted national trainings for DonorSearch and the YMCA. Victoria holds a B.A. from The College of William and Mary. She served on the boards of the Association of Fundraising Professionals-Hampton Roads chapter and the Hampton Roads Gift Planning Council, and is the immediate past chair for the Virginia Fund Raising Institute. 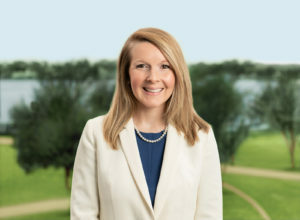 Victoria is actively engaged in her community, serving on the Business Women’s Giving Circle through the Community Foundation of Northern Virginia, and the Hampton Roads Community Foundation’s Community Leadership Partners. She is also a past board member of the Junior League of Norfolk-Virginia Beach. In 2015 Victoria was selected by Inside Business as a top “40 Under 40” honoree, recognized for both her career and community accomplishments.